Calouste Gulbenkian was the oil entrepreneur who opened up commerce from the Middle East to the West. He also had a 50-year friendship with Rene Lalique and obtained pieces directly from the artist. His art collection numbered over 6000 pieces, to which a museum in his name was built in Lisbon. 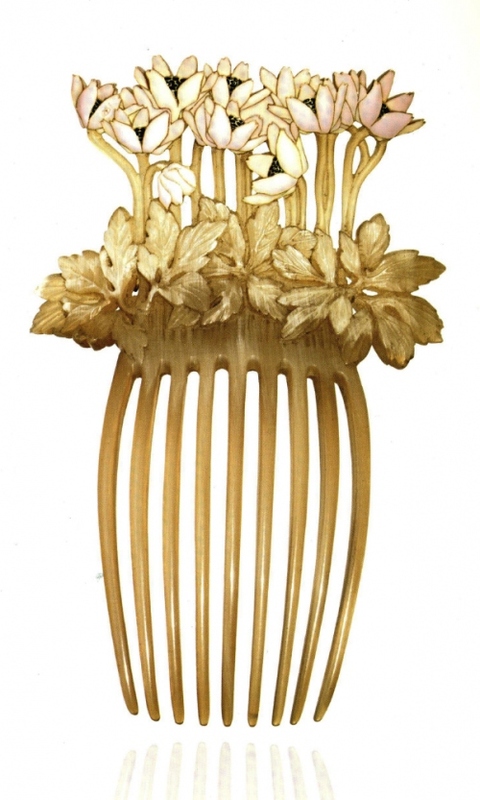 This comb depicts leaves in horn, from which emerge pink enameled flowers with black stamens.